The function was inaugurated by the Hon. Governor of Uttarakhand Shri. Sudarshan Agrawal. 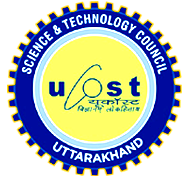 Several eminent personalities from the Government of Uttarakhand and dept of science & technology graced the occasion. Prominent amongst them were Chief Secretary of Government of Uttarakhand Shri. S.C.Das, Dr. Laxman Prasad, advisor DST, Er. Indu Bhaskar, Director DSIR, Padamsiri Prof. A. N. Purohit. Key note was delivered by Dr. Rajendra Dobhal, Director, UCOST. The list for the abstract received during first science congress is not available.